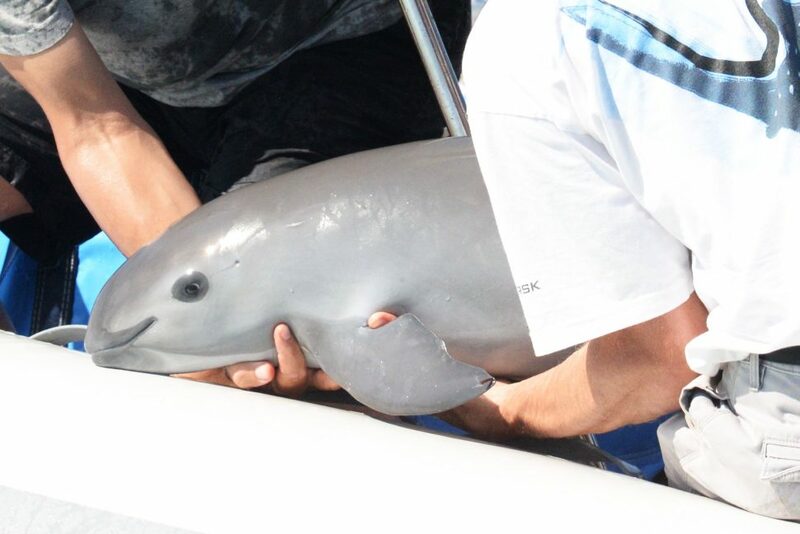 Scientists have captured and released a young vaquita porpoise. Photo: VaquitaCPR. 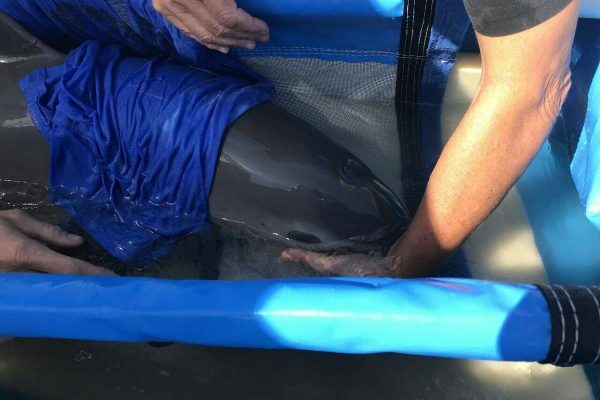 On Wednesday, scientists operating in the Upper Gulf of California (Sea of Cortez) successfully managed to locate, capture and transport a vaquita (Phocoena sinus). The animal, a calf estimated to be about 6 months old, was first transported to a sea pen before being released at the same location where it had been captured. The release followed after marine mammal experts observing the animal recognized signs of stress. A protocol developed to safeguard the health of all the animals captured by the project called for the release at the first signs of stress. After initial reports that multiple vaquita had been sighted by scientists looking for the elusive animals, the first successful capture attempt is being celebrated as a major milestone. Never before has a vaquita been captured or held in captivity for any amount of time. Scientists with the VaquitaCPR conservation project have been looking for members of the rapidly shrinking vaquita population since October 12. The project’s mission is to locate and capture the remaining vaquita with the ultimate goal to temporarily move them to a safe habitat, a sea sanctuary to protect them from gill-nets, the one threat that has driven the species to the brink of extinction. Less than 30 individuals remain of a population that in 1997 was estimated to be about 600 animals strong. The rescue plan is not without risks, but has become necessary to buy the vaquita time until their natural habitat is deemed safe for their return. 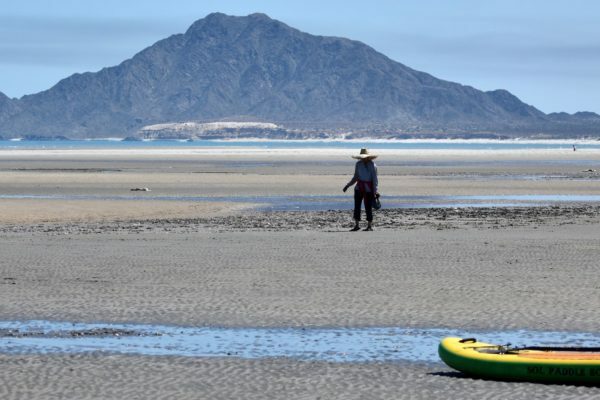 The population has failed to recover despite a decades-long conservation effort that recently saw the Mexican Navy, local fishermen and international NGOs work together to remove active and derelict fishing gear from the Sea of Cortez. The efforts that Mexico has taken and the scientific community has taken and so many organizations, particularly in the US but around the world have taken, to try to prevent us from getting where we are today, is tremendous, it’s extraordinary, and I can’t thank people enough because had those efforts not been taken, we may not have vaquita at this point in time. VaquitaCPR is an international conservation program led by SEMARNAT, Mexico’s environment ministry, in coordination with the National Marine Mammal Foundation, The Marine Mammal Center, and the Chicago Zoological Society. 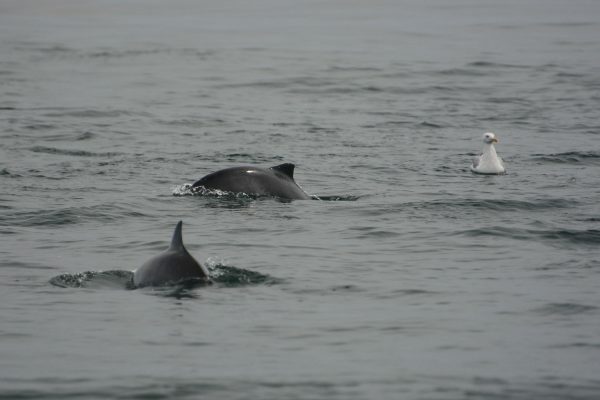 Porpoise Conservation Society president Dr. Anna Hall is one of dozens of scientists contributing their expertise to this ambitious effort. Experts from all over the world, including Mexico, the United States, Denmark, the Netherlands, Canada, New Zealand and the United Kingdom are all working together to save the vaquita from extinction. The current mission will continue for several weeks. The vaquita is the world's most endangered marine mammal. Despite a decades-long effort the save the species, the species has been driven to the brink of extinction. Fewer than 30 individuals remain in the Sea of Cortez.